Healthy river catchments store water in the landscape and slow the flow of water downstream. Our modern river landscape is very different from what nature intended. We have lost water storage in wetlands, created hard surfaces that water rushes off, and changed our river channels so they move water very quickly. Our rivers are less able to cope with the rain we expect in the future, making flooding more likely to impact communities. Flooding is natural and floods are important for healthy rivers. Flooding creates habitats for wildlife, moves nutrients to help plants grow and cleans gravel, which is important for fish and insects. However, it can also be devastating for people and communities. In our busy landscape, we can’t make all rivers completely wild again, but we can restore some of the features that store water, or restore natural processes which slow water down. This could mean that a flood could develop slower, and be less damaging to property, and less risky to people. This has other benefits too. A landscape which stores more water, can be less likely to run out of water in a drought. Wetlands which store water, can also remove pollution. Restored rivers, with more bends, clean gravel, vegetation, and trees, provide more habitat for fish and insects. 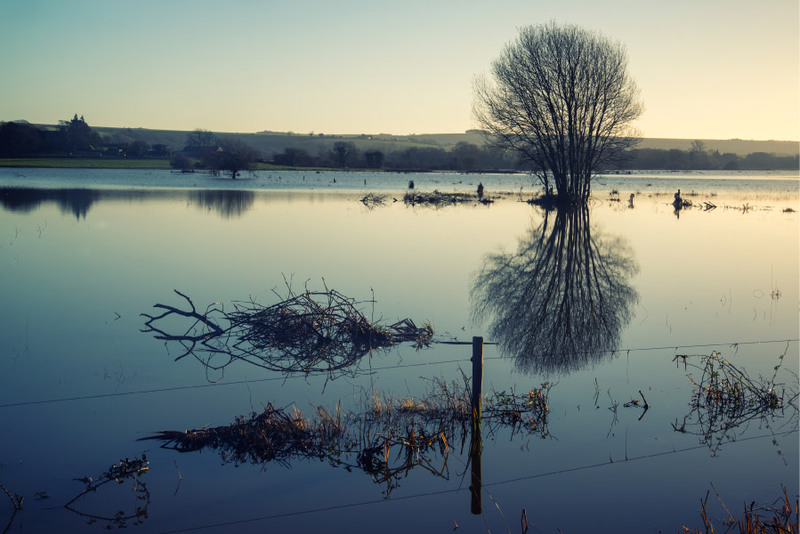 The Rivers Trust has been working to develop technical tools which help us to identify where we can plant trees, create wetlands and restore rivers, to reduce the flood risk to people. Our member trusts have been using this information to create these areas, which also clean water, protect against drought, and improve our rivers for people and wildlife to enjoy.